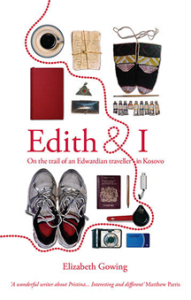 The guest speaker at the Octobermeeting was Elizabeth Gowing, who gave a talk called ‘Edith and I – On the trail of an Edwardian Traveller in Kosovo’. Kosovo is a tiny country (about the size of Devon) yet full of intriguing history and culture. Elizabeth Gowing’s talk gave us a fascinating insight into the life of the lady dubbed by Albanians as ‘the Queen of the Highlanders’. Edith Durham (1863 – 1944) was the eldest of nine children. Her father was a well-known London surgeon. Edith trained as an artist at the Royal Academy of arts but when her father died she took on the responsibility of looking after her sick mother and all the younger children. This proved to be exhausting and led to a breakdown. Her doctor recommended a trip abroad to recuperate. This was the start of her travels and adventures around Eastern Europe, starting along the Dalmatian coast. Edith particularly loved Albania and for two months a year, when she was able to leave the family, she worked, painted and wrote as well as collecting folk art. 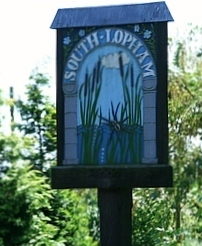 Her artifacts can be seen in the British Museum and the Pitt Rivers Museum, Oxford. In 2006 Elizabeth Gowing moved to Kosovo with her partner David who had been offered a job by the Ministry of Defence. They travelled there via Vienna, Slovenia and Croatia. We learned how Kosovo emerged as an independent country after several bloody and destructive wars. In Kosovo, 90% of the population speaks Albanian and most of the rest speak Serbian. 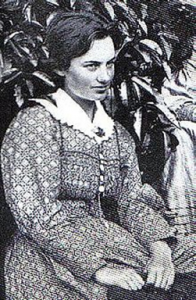 Elizabeth discovered that Edith Durham had made a huge impact on the Albanians, collecting money to supply medicines such as quinine, during the first Balkan War. Many descendants claim they owe their existence to the help she gave to their ancestors. 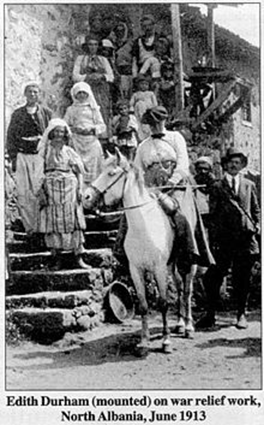 Elizabeth discovered how challenging it would have been for a woman to be accepted in Albania. 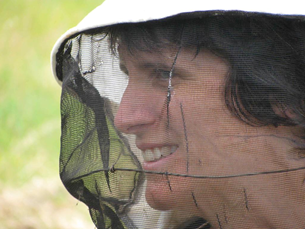 A famous saying from Albania was that ‘Woman is a sack to be well used.’ Elizabeth’s first book on Kosovo, ‘Travels in Blood and Honey’, is about her experiences as a first time beekeeper and the many friends she made through her interest in apiculture. She subsequently wrote ‘Edith and I’ as a result of her fascination with Edith’s life. Edith has streets named after her in Kosovo and she is the first woman on a Kosovan stamp. Nonetheless, her increasingly anti-Serb views earned her a reputation, in some circles, as a difficult and eccentric woman. Since Elizabeth and David settled in Kosovo, eight years ago, Elizabeth has set up a charity ‘The Ideas Partnership’, to support the education of ethnic minority groups, in particular the Romas. Money raised has been used to send Roma children to school and to train their mothers, formerly street beggars and social outcasts, to use sewing machines and contribute to Kosovo’s growing textile industry.